Coming straight off the release of the Nike Air Max 90, the Beaverton brand is coming through with even more sneakers that pay homage to the rocky crater we can see at night called the Moon. 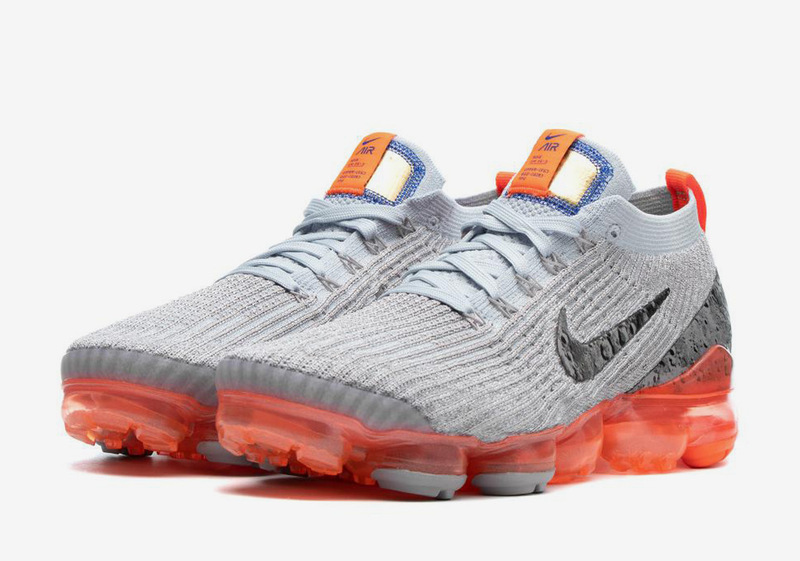 Appropriately titled "Moon Landing" this latest colorway of the Nike Vapormax 3.0 is sure to be a huge hit amongst both collectors and runners looking for a shoe to spice up their collection. Considering the flyknit construction of the Vapormax 3.0, the Moon aesthetic is an interesting choice, although its a welcomed addition to the running shoe's library which is being built as we speak. The upper of the shoe is grey flyknit while moon graphics can be found on the Nike swoosh as well as the back heel. Meanwhile, orange accents can be seen near the tongue and cuff, as well as the air pods on the bottom. These are truly one of the most interesting colorways of the Vapormax 3.0 we've seen so far and we are here for it. This is surely going to be a great cop. According to Sneaker News, these will be hitting retailers on April 1st for $190 USD.